TICKET GIVEAWAY: Sign up for the House of Hearts "Gem & Jam Festival" ticket giveaway! Winner receives (2) free full weekend (GA) festival passes to this years event! Winner will be declared November 1st & notified vial email. Good luck! Tucson, Arizona (July 6, 2017) - Gem & Jam Festival has announced it will be returning to Pima County Fairgrounds for a second straight year, January 25 - 28, 2018. Coming off a transitional year, which saw the fan favorite festival move from Downtown Tucson to a venue that offered a desert setting with expanded amenities including camping, the twelfth annual event will expanding its offerings, which of course will include a bigger lineup. Previously editions of Gem & Jam have featured such acts as: Gramatik; Mike Gordon; The Floozies; Lotus; The Trancident; Kyle Hollingsworth; EOTO & Friends; G Jones; The Infamous Stringdusters; Poolside; Com Truise; Steve Kimock & Friends; Opiuo; The Motet., amongst others. The first round of performers for the 2018 lineup will be announced in the coming months. For those who missed Gem & Jam this year or those who are looking to relive the festivities, the festival is also releasing the Official Gem & Jam 2017 After Movie. Clocking in at a dizzying 30 seconds, the video perfectly captures the energy, excitement and love that is Gem & Jam- prepping fans for even more in 2018. Located on 640 acres and just 20 miles south of downtown Tucson, the Pima County Fairgrounds is surrounded by nature and resides in a desert environment, creating an expansive setting perfect for Gem & Jam. The multi-stage music and arts festival will be offering increased capacity and camping options, including: onsite RV camping with hookups, boutique camping, car camping and walk-in camping. 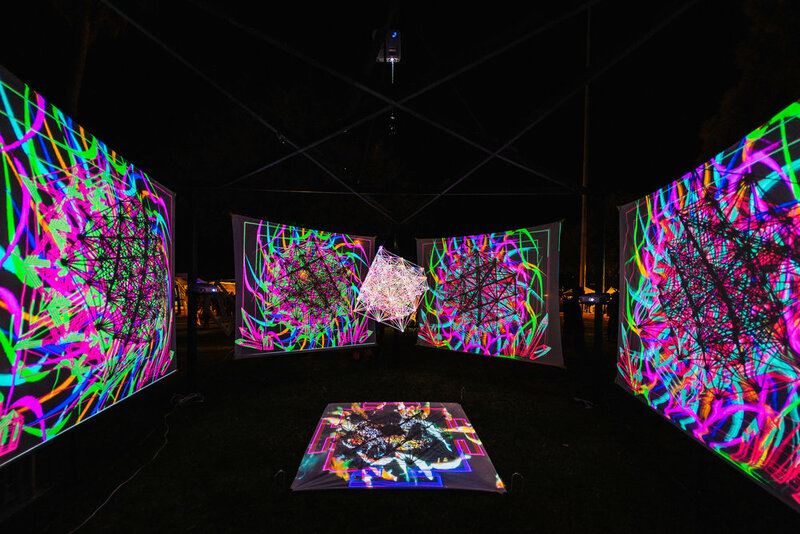 Additionally, Gem & Jam will be expanding on its experience with world-class visuals, unique stage designs, artist galleries, live paintings, experiential installations, daytime workshops, gem and mineral vendors and much more. Early Bird Presale tickets go on sale Friday, July 7th, at 10 a.m. for $179, plus fees. Camping options will be available starting at $55, plus fees. Tickets are available online at www.gemandjam.com. Gem & Jam Festival is an all ages event. Gem & Jam is produced by Infinite Music Productions, Euphonic Conceptions, and Challenger Presents. Visit www.gemandjam.com for the most up-to-date information. Stay connected on Facebook at www.facebook.com/GemAndJam, Twitter at www.twitter.com/GemJamFestival and on Instagram at www.instagram.com/GemAndJamFestival.